Protect your hood with style by installing an AVS AeroSkin II bug shield. Adding a whole new spin to what a hood protector looks like, each shield is crafted from high-quality materials and is built to last. Auto Ventshade is known for their premium bug shields, and the AeroSkin II doesn't shy away from that standard. Crafted from high-impact resistant TPO material, you never have to worry about dents and dings damaging your hood. So not only are you getting protection, but these bug shields are created with an element of style in mind. The sleek design coated in an OEM matte black textured finish, the AeroSkin II will stand out from the rest. No need to worry about drilling into your vehicle's hood as the AVS AeroSkin II bug shield installs using automotive grade adhesive. 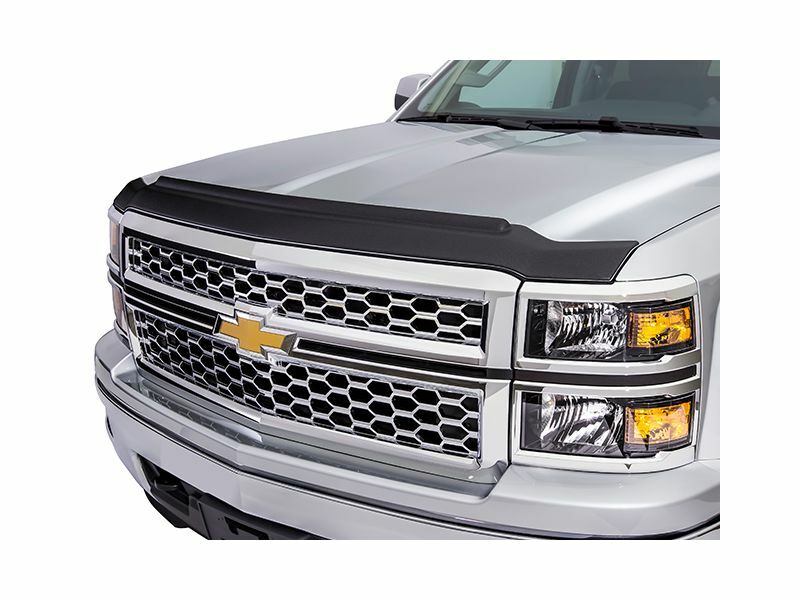 Backed by a limited lifetime warranty and proudly made in the USA, get yourself endless hood protection today!